R's impeccable taste never fail me. 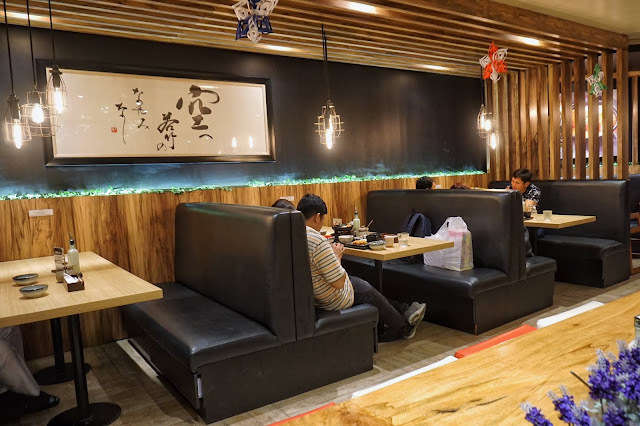 Every single restaurant he mentioned to be great is indeed a haven for foodies. And when he mentioned that one of his favorite katsu restaurants is Katsu Sora, I was giddy to give it a try. But it felt like I have a curse with this place as all our planned visits to Katsu Sora gets cancelled. Then again, I guess 9th time's the charm. 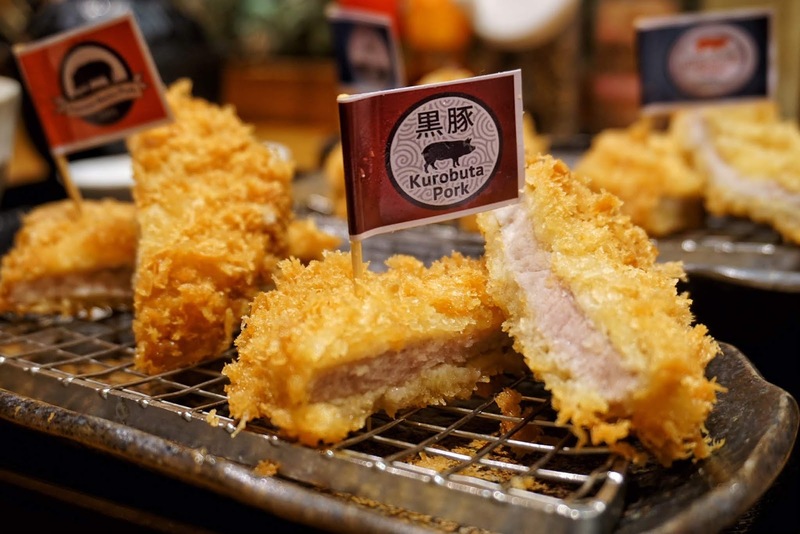 Known as a premium katsu restaurant offering four kinds of pork tonkatsu--Japanese Kurobuta, Spanish Shimofuri, Canadian Sakura Pork and Spanish Iberico, it has been a favorite by many. 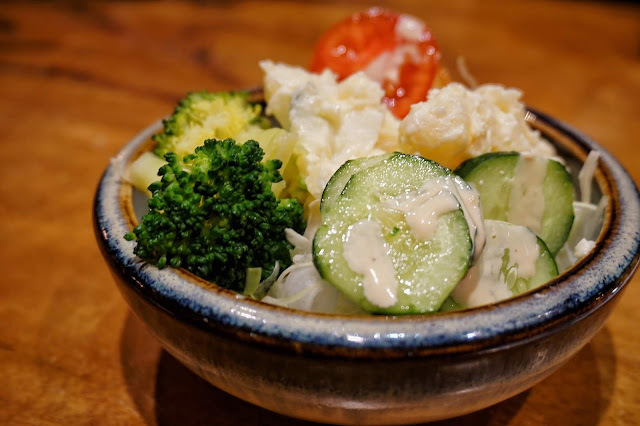 Unlike most katsu places that offer unlimited cabbage, Katsu Sora offers a bit more with its salad, soup and rice buffet bar filled with various kinds of greens, dressings, two types of miso soup and three kinds of rice. 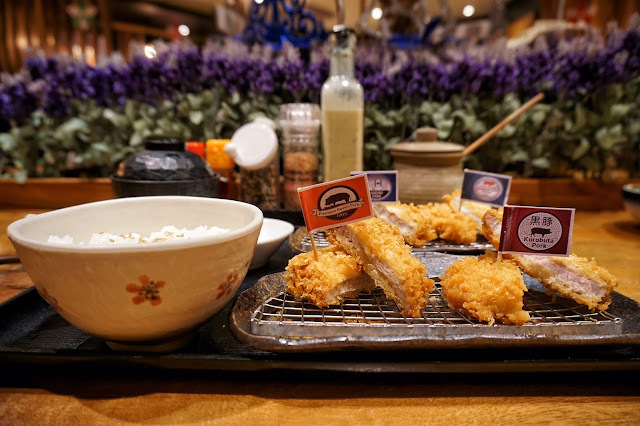 As a newbie to Katsu Sora, I opted to go with Otameshi Set (PHP535) so that I could try all four premium tonkatsu in one sitting. 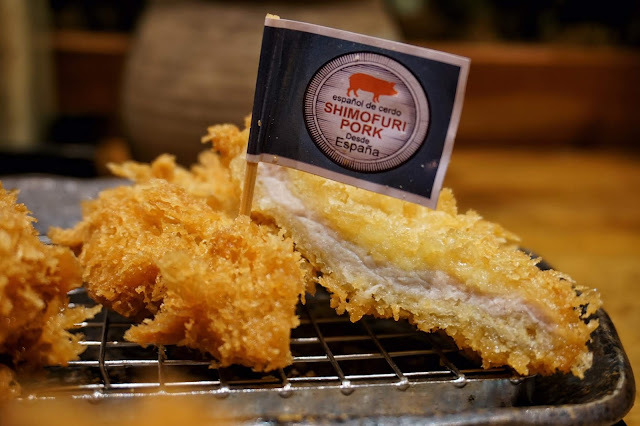 This sampler set includes Japanese Kurobuta, Spanish Shimofuri, Canadian Sakura Pork and Spanish Iberico, all lightly battered to perfection. While waiting for my food, I went to the buffet bar and grabbed some greens, soup and rice. We got our orders within 15 minutes and I was surprised that the set I ordered was more than I thought. Each flavor has two slices. I first tried Shimofuri Pork which is hailed as the black Angus of pork with its high percentage of intramuscular fat. It was pretty good! 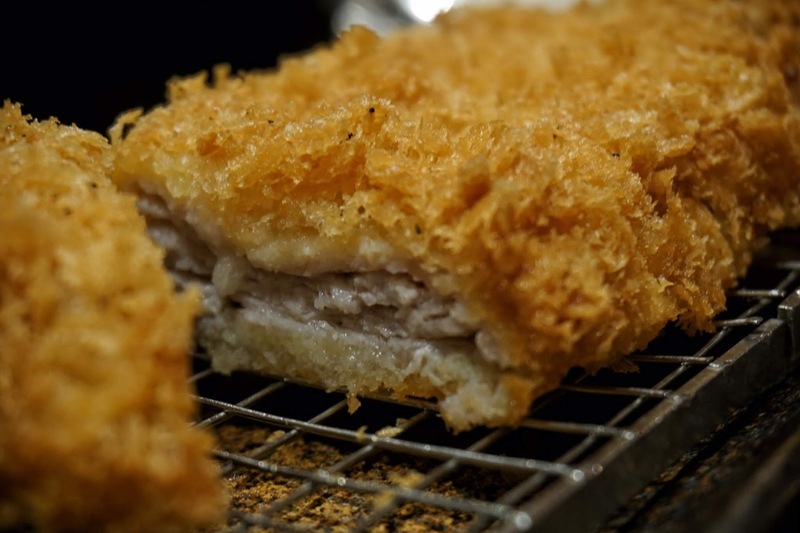 Light, clean tasting, juicy and tender in every bite. 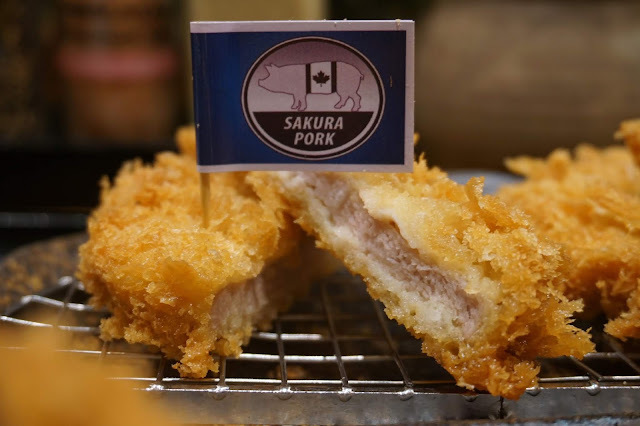 Up next was Sakura Pork, the grain-fed pig from Canada known for its lighter color and firmer texture. And it was indeed had more bite but still tender and juicy. Taste-wise though, it wasn't far from Shimofuri Pork. But this is an excellent choice for those who prefer leaner meat. Kurobuta Pork or the wagyu of pork with its highly marbled meat was undeniably great. It was a lot more tender than the first two. However, again, I couldn't really differentiate it from the other two just based on taste. I saved the best for last and savored every bit and morsel of Iberico Pork. 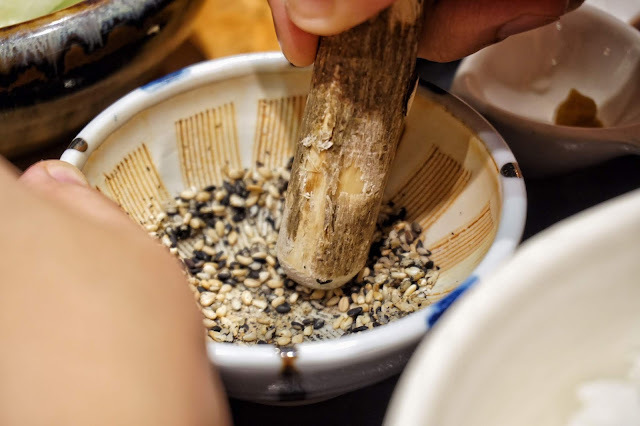 Deemed as one of the most flavorful pork around with a butter-like texture, it was pure bliss. 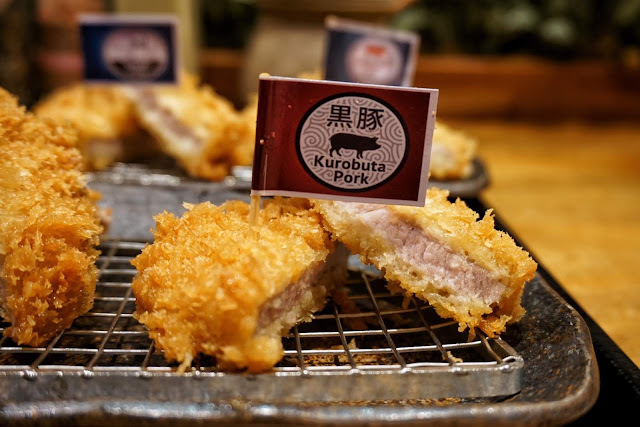 Flavorful as is, each bite was oozing with rich taste given its high fat content. R ordered Mille Feuille Sakura Pork (PHP360), his staple at Katsu Sora. Just like delicate mille feuille pastries, this katsu is made of layers of Sakura Pork breaded with panko and perfectly fried till golden brown. For some reason, I enjoyed this delightful Canadian Pork in thin layered form. It was a lot more tender which I liked. Both sets also come with a plate of fruits. 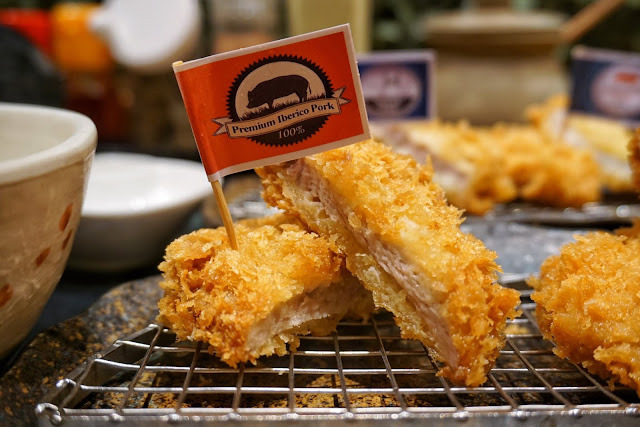 Katsu Sora indeed offers great quality tonkatsu and at reasonable prices. Its fast service also makes it a nice option for quick lunch breaks. 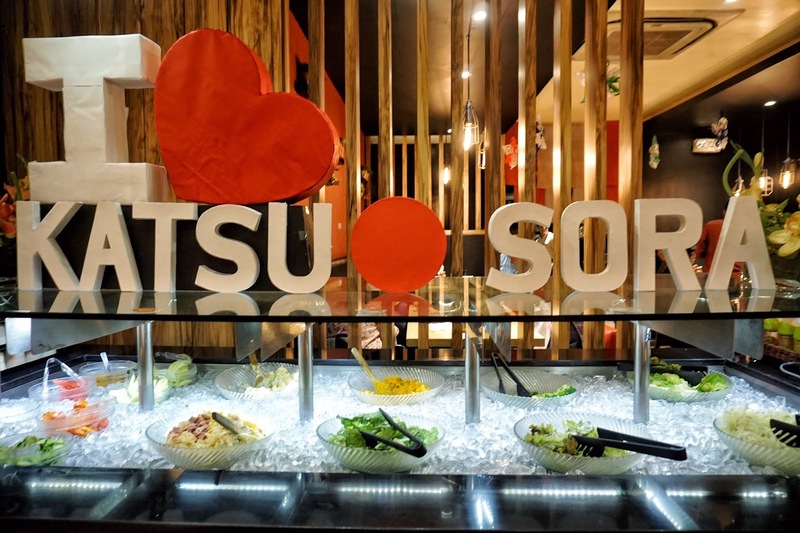 Katsu Sora is located at 4th Floor, Trinoma Mall, Quezon City.